If you want to look at those bright stars thingies in the night sky you may not be able to see what your ancestors saw in the past. The sky is one of the most beautiful gifts from nature, this spectacular universe of stars and galaxies has been visible in the darkness for most of Earth’ history, until now. Today, most of us must travel far away from home to enjoy the awe-inspiring expanse of the Milky Way… and all that because the negative effects of the artificial lighting, a.k.a light pollution. Statistics show that more than 80% of the world — including 99% of those living in the United States and Europe — lives under light polluted skies and thus 1 in 3 people can’t see the Milky Way when they gaze at the heavens in their hometown. Researchers from Italy, Germany, United States and Israel used satellite data and sky brightness measurements to create a world atlas of artificial sky luminance, a map that shows the effect of artificial light across the globe. According to their study, published on 10 June in Science Advances, more than 30% of humanity can no longer see the Milky Way, even on the clearest night. the researchers behind the effort said. Unless careful consideration is given to LED color and lighting levels, this transition could unfortunately lead to a two- to three-fold increase in sky glow on clear nights. The most light-polluted country in the world is Singapore. The countries with populations least affected by light pollution include Chad, Central African Republic, and Madagascar. Elvidge told The Huffington Post. This is an aesthetic loss, and perhaps a spiritual loss in terms of feeling a connection to the cosmos. The sky is right there. It’s very accessible. 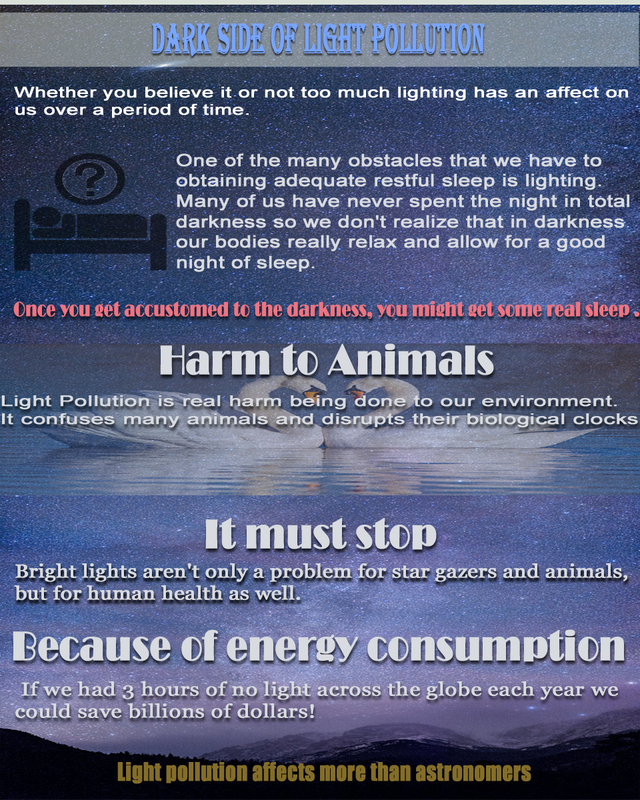 But if the light pollution is getting in the way, then you are taking away a very nice source of awe for people. Nothing in the article said anything about anything going on with the galaxy. Take a look at that map and find the darkest nations on Earth and ask yourself if you want to live there. Um dude, no. Look I understand that light pollution is an unfortunate side effect of modernity but, I’m not giving up civilization just so I can see the stars better. We’ll figure out another way to deal with it. My Son and I recently relocated from Connecticut to Florida.. The only time we could catch a glimpse of the night sky would be far away from the bright lights of the City of Hartford.. Even then the night sky was not as dark as it once was.. I remember quite well growing up and seeing the stars and the faint cloud of our Milky Way Galaxy.. I wanted to share that with my Son but I could not.. Fortunately,, my parents left me a home in Florida.. It is far away from any major city so I can now enjoy viewing the beautiful night sky from my backyard.. Finally my Son can enjoy the very same feelings of awe that I thought I had lost.. There should be astronomy nights across the world where certain areas around the globe can enjoy living without the intense light pollution caused by our city lights… The sky here is magnificent..